High waists and push ups. A sort of continuation of our previous Summer season ready and Sammydress bikini wishlist kind of talk. 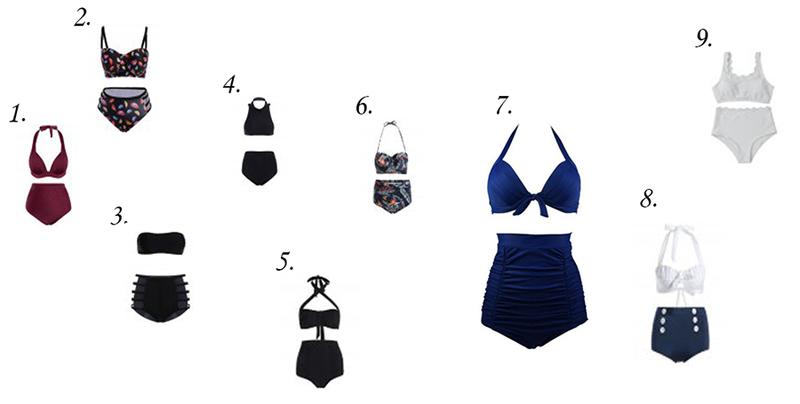 This time it's about high waisted, and also push up effect, bikinis I liked at Rosegal. And again few of my favorites made it to this Inspo-selection. And again it's all about inspiration-slash-reason for yet another online shopping session. In case you are feeling like researching full range yourself, then go on with more of Rosegal high waisted push up bikinis Summer 2017 Promotion and up to 60% off pieces HERE. Should I say you can use our coupon 'RosegalVilian' to get some $$$ off?